Will bigger and better GTA Content be coming? More GTA HEISTS Leaks?! How about, Give a the damn release date! Want details about the High Life? Check out the features and estimation of money, on the high life update here. WE HAVE A WINNER, OMG WE HAVE A WINNER...... GK's capture contest has came to a ending, with a winner crowned "Ranger Verified" and emerging victorious. Find out who has creativity and victory here. The High Life Update for @GTA Online has an official release date! GTA 5 Online | Armored Truck Frenzy! 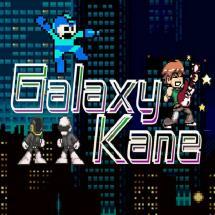 Hey everyone, I'm GalaxyKane, and this is armored car frenzy. This particular video, is not exactly INFORMATIVE, but more of an ENTERTAINMENT video. A friend and I was playing online when multiple armored trucks and cars were popping up, with that happening, we decided to take up this challenge of hitting those cars and fighting the police. Enjoy. UPDATE! The Contest still rages on. Make sure you all SUBMIT your content by WED APRIL 23RD, 2014. New! GTA Online Upcoming DLC Spring Update!